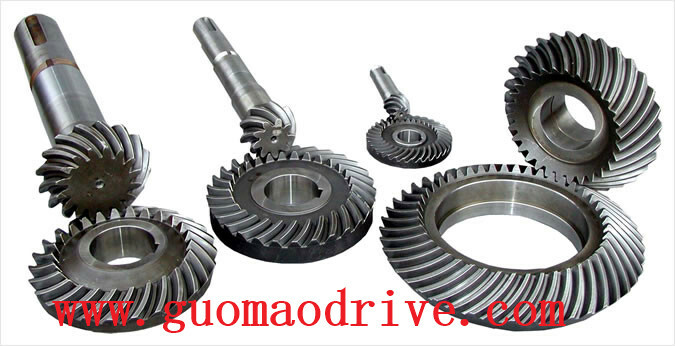 The main disadvantage is that they helical gear is vibration. Whether it is due to the design, manufacture or deformation, etc., at the same time along the entire tooth surface may occur some changes involute shape. This will lead to a regular, once per tooth incentives, it is often very strong. The resulting vibration caused both large load on the gear, and cause noise. Another negative point is that the contact time, and sometimes additional strength by two pairs of meshing obtained and can not be used, because the stress is circulating in the situation of a single tooth meshing defined. Helical gears can be seen as a group of gear misalignment sheet should be placed into the cylindrical gear, so that each piece is touching a different part of the tooth profile, resulting in the role of the compensation of each sheet gear error, the compensation due to the wheel elastic teeth and is very effective, and thus come to such a result, the error is within 10mm of teeth can make the error from the average effect, which under load conditions, can such error is within 1mm teeth as running smoothly. Because in any transient, about half the time (assuming the coincidence of about 1.5) will have two teeth mesh, which brings additional benefits in terms of strength. Therefore, the stress can be established in 1.5 times the tooth width, rather than a tooth width of the base. Manufacturing and assembly spur a lot of flakes is both difficult and uneconomical, and therefore manufactured integral gear teeth along the helical direction of the gear. Helical gear is not as straight, it will lead to undesirable axial force. But the benefits in terms of vibration and strength far better than the disadvantage caused by the axial thrust and a slight increase in manufacturing costs brought. 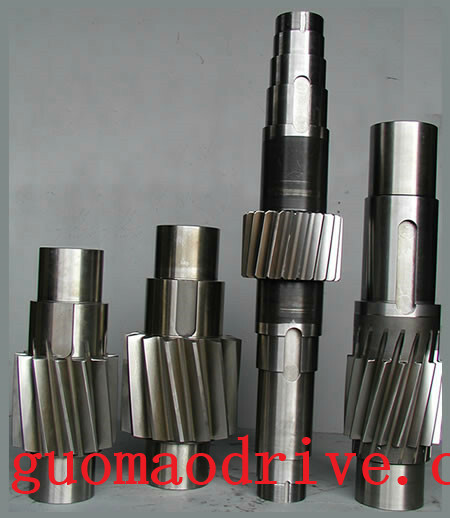 So use helical gear rather than straight gear reducer such as the manufacture of four series:. R series coaxial helical gear reducer, K series of spiral bevel gear reducer, S series helical worm gear reducer, F series parallel shaft helical gear reducer Note 1: What is a spur gear: Spur is parallel to the shaft of the gear teeth. We will only discuss the parallel shaft gear theory, therefore, any money perpendicular to a cross section of two gear shaft are identical.